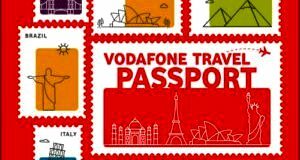 If, the travel bug in you finds you daydreaming about travelling and enjoying the beautiful monuments of the world – then dive into the Vodafone Travel Passport game. This game will allow the users to find new tourist attractions hidden in various pages of the app in different locations each day. Vodafone India has partnered with EaseMyTrip for this campaign, to help the winners receive assured vouchers every day for spotting the attractions. Each day, one lucky winner will receive a discount voucher worth Rs 400 from EaseMyTrip on finding the hidden tourist attraction. Lucky winners also stand a chance to win a daily reward of 3D/2N hotel stay anywhere in India. One new attraction will be added to the app each day for the customers to find them. One lucky customer at the end of the contest will be eligible to win a trip to Dubai. Users can check their attraction counter on the app to confirm the number of tourist attractions they have found, along with the name of the contest winners for the previous day. Users can also visit MyVodafone App to discover various features, like; bill payments, recharge options, entertainment section, super deals for the day, and much more. The contest is open for both postpaid and prepaid customers.